Visibility for the malaria agenda swelled as Voices leveraged partnerships across the continent to help the United Against Malaria (UAM) campaign transform Africa’s premier football tournament, the 2013 Orange Africa Cup of Nations (AFCON), into a headline-grabbing, star-studded platform for malaria control and elimination messaging. 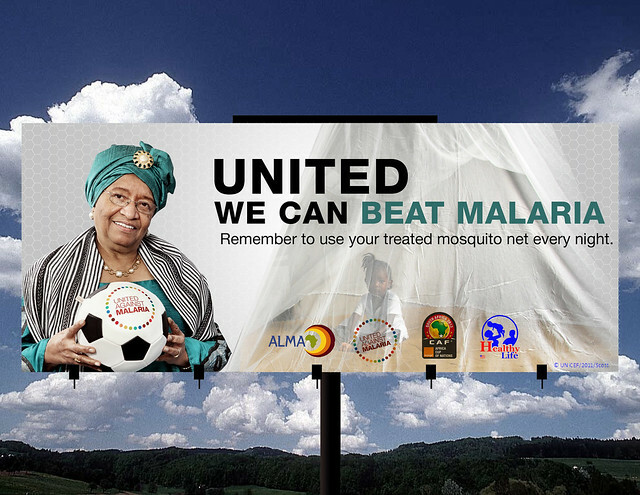 As one of the tournament's official social causes, UAM harnessed the universal popularity of football to mobilize public and private support for malaria control and educate fans. As a key UAM partner, Voices developed pan-African collateral and media, with more than 100 billboards and more than 1,000 public service announcements. 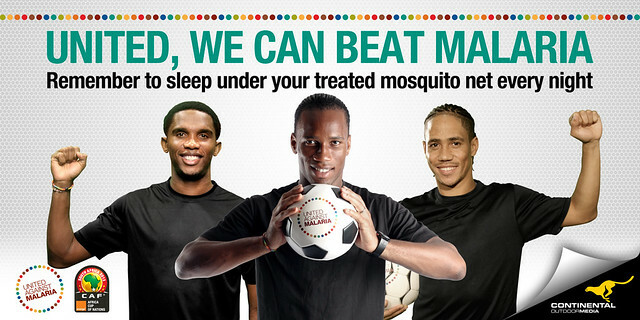 The team also produced and distributed more than 150,000 copies of GOAL!, a malaria education tool designed for football fans, in key locations such as stadia, fan parks, and clinics, including 15,000 copies sponsored by CAMA through GBC Health; Malaria No More produced an additional 5,000 copies. The materials below represent a sampling of media produced for the qualifying matches in September and October 2012 and the final tournament in January and February 2013.